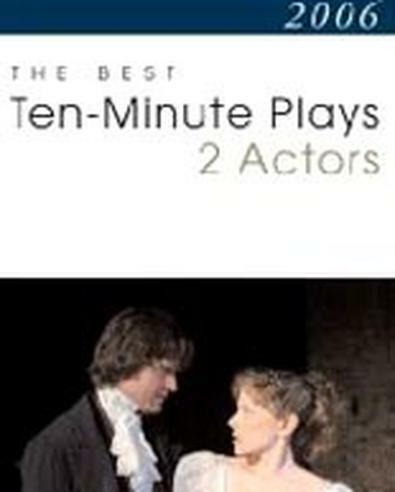 Ideally the editor of a play collection acts as a sort of quality-control supervisor, separating the wheat from the chaff and presenting the reader with a cohesive anthology containing pieces with similar, and hopefully high, levels of artistry. Editor D.L. Lepidus largely succeeds in doing just that. Many of the plays contained here share a bare, simple feel, often laced with sarcasm. Some tread into earnestness, while others use soft-boiled absurdism to assert the playwrights' ideas; many end with plot twists. What is problematic, however, is that the collection begins with some of the weakest plays. The first, Steven Bittrich's The Proposal, attempts elevated text but often falls flat. Consider this passage: "...but, and please excuse my audacious candor, you won't be winning any ribbons, I'm sorry to say, nor any husbands either for that matter, because, as sordid as it may be, there are scurrilous and unseemly tongues that wag this way and that 'round this tiny little hamlet. And they wag, Miss Hightower, about you." A few plays in, the collection finds its footing with Jim Dalglish's charming Double D, in which a one-time drag queen turned shoe salesman gives an insecure woman the moxie she needs to make it through a difficult night. Brian Dykstra's Youngsters, David Epstein's Top Floor, Lisa Soland's The Same Thing, and David Weiner's An Honest Arrangement are all solid forays into the 10-minute form. Jack Neary's She's Fabulous may sound a note of truth for some performers — two middle-aged actors fluctuate between praise and condemnation for an actor that landed, and excelled in, a role they both coveted. "An actor makes a choice," one muses. "Another actor makes another choice. Better? Who's to say? Now — would I have done it differently? Of course." Very short plays often seem more like exercises than performance pieces, both for writers and actors. On that level, Lepidus has assembled a good grouping of creative workouts. Those wanting to produce something short and frothy won't be disappointed, either. Smith and Kraus, 2007, paperback, 208 pages, $19.95.